Video looks great!! You look smooth and comfortable, and this is just the beginning of your experience with the Street Trip. Looking forward to seeing you pass me next year! Thanks Jeff. Me and the Triumph will get along just fone. I’m made some small adjustments and mods that will make a big difference to get the bike to fit me even better. 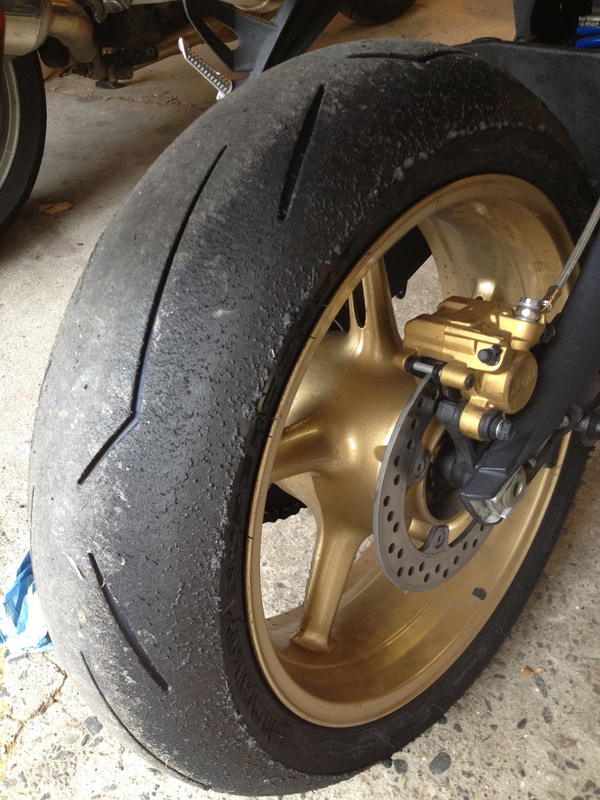 Oh, and there was no wheel slip. I was just me getting used to the wide handlebars, which caused me to be a bit jerky. You can see me make an adjustment a lap earlier while entering turn 3 as well. Hi, it was a great article. I am working on a similar conversion and replacing the original rearsets on my 2008 Street Triple, however only found 2013 Daytona rearsets. Can I perhaps ask for your advice if it will also fit? Many Thanks, will check there. Shanky, The high handlebars are not really conducive to cornering at extreme lean angles…those achieved by racers. 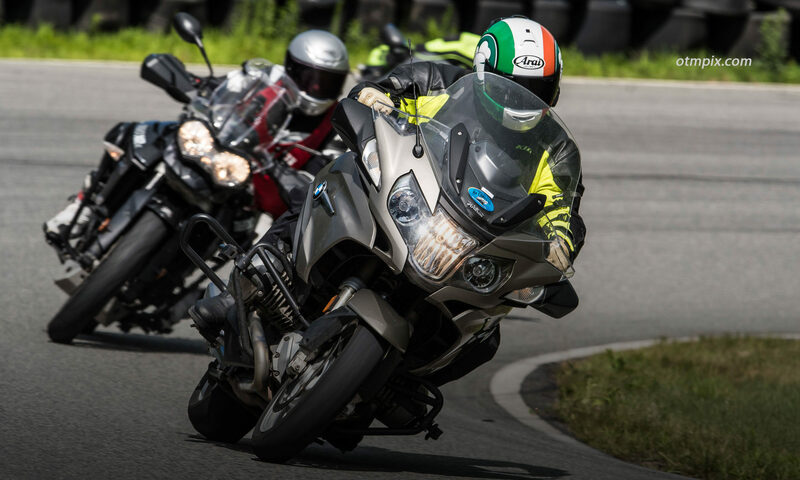 But, for 90% of track day riders, the handlebar configuration is not a significant limiting factor, especially if you are a new track day rider. The thing is that we all have preferences for what ergonomics that work best for our body type and agility. For instance, I struggle a bit when riding a Daytona at 9/10ths, but the GSXR 600/1000 is a natural fit for me. Without a measuring tape and careful analysis, I can’t really say why. So, you can see why a high handlebar Striple might be challenging. I say give it some time and consult an instructor in how to position your body correctly so your arms aren’t supporting your body on the bike so much. That will decouple the handlebar problem from the need to support your body securely. Lower clip-ons are a fine way to go, but then I’d ask why not go for a Daytona or other supersport 600? Woodcraft makes clip-ons of varying heights so you can find a middle ground if you don’t want to go all racerboy low. Good luck. Ken- What were some of the extra things you would have had to do to the FZ-09, which cause you to go with the Triple? Jay, The FZ-09 has plenty of motor to match the Street Triple R, but what it lacks is suspension and brakes. The standard Striple has basic suspension and brakes that align with the FZ-09, but the Striple R has radial-mounted brakes that are great and fully adjustable suspension that is decent. A good rider on a FZ-09 can probably match a not-so-good rider on a Street Triple R, but the same rider on both bikes will find the FZ to need suspension work to manage fast track day speeds. Even the Striple R suspension wasn’t quite sharp enough for me to get the feel and control I wanted, so I upgraded from the stock shock and revalved the forks. Most riders won’t need to go to this extent. Thanks for the response. I also ask because I ride a Fz-07 for touring and short commute and Monday is my 1st track day with it. I read your other articles about selecting a track bike and skill tips. After I get my feet wet Monday I’ll figure something out. I think a $4-6k used 600cc crotch rocket is a wise move.